Of Salty Bahamian Ponds and Adaptive Radiation « Nothing in Biology Makes Sense! This study system is of interest for two main reasons. First, these three species are quite morphologically and ecologically different. One of them resembles a typical generalist pupfish, one of them has evolved to eat primarily the scales of other pupfish, and the third has evolved to eat primarily hard shelled invertebrates, such as snails (hereafter the generalist, the scale-eater and the durophage). The two specialists are unique among Cyprinodon, and the scale-eater is the only one of its kind within the larger group, Atherinomorpha, which contains ~1500 species. The second reason this system is interesting is because these species must have arisen very recently. Geological evidence suggests the lakes were dry as recently as 10,000 years ago. This means these species represent a very recent colonization of a new environment followed by rapid diversification. This makes the system an ideal one in which to test this idea that natural selection drives organisms like these to diversify when they are faced with ecological opportunities (e.g. a lake filled with snails that no other fish are eating, or a set of neighboring fish who probably won’t get too bent out of shape if you pull off a few of their scales and eat them). The experiment conducted by Martin and Wainright does this by assessing the adaptive landscape of the lakes. The adaptive landscape (covered by Devin a few weeks ago) is another core idea in evolutionary biology. It’s a metaphor for the relationship between an organism’s phenotype (morphology, behavior, etc.) and its fitness in nature. If the adaptive radiation model holds in this system, we would expect there to be three peaks of high evolutionary fitness in the adaptive landscape that roughly correspond with the phenotypes of the three species in the lakes. Alternatively, peaks of fitness may not exist (all phenotypes are equally fit) or the peaks may be in very different locations than are occupied by the three species. The authors accomplish this by hybridizing the three species for two generations. In doing this, they generated a population of fish with a large variety of phenotypes, from those that resembled one of the three parental species to all levels of intermediacy between them. They then took these hybrid individuals, measured their phenotypes, tagged them, and placed them in enclosures in the lakes from which their grandparents were caught. These enclosures are essentially identical to the habitat the fish occur in naturally, with lake water and prey items circulating in and out freely. After several months, they returned, caught all the surviving fish, read their tags and measured how much they had grown. These data allowed them to estimate an adaptive landscape by looking at whether or not survival and growth (and by extension, fitness) were related to phenotype. The authors conducted two treatments of this experiment, one in which ~800 fish were added to each enclosure, and one in which ~100 fish were added to each enclosure. This was meant to test whether the form of the adaptive landscape was dependent on competition between fish. Their results are quite messy, but they do appear to support the idea that there are peaks and valleys in the adaptive landscape for theses fishes, and that the peaks roughly correspond to the locations of two of the three fish species (the generalist and the durophage) with the durophage peak being the highest and intermediate morphologies having lower fitness. Interestingly, there was no observed peak for the scale-eater morphology. The authors suggest that scale-eating may be such an extreme specialization that none of the hybrid fish had quite the right phenotype to be good at it. They observed that only 4 out of 11 scale-eater-like hybrids recovered after the experiment actually had scales in their stomachs (vs. 49 out of 53 wild-caught scale-eaters). The high and low population density treatments did indeed yield slightly different results. The form of the adaptive landscape was similar in both (similarly located peaks and valleys), but the peaks and valleys were not as extreme. This supports the idea that competition plays an important role in shaping the landscape. To guard against the criticism that intermediate hybrids might have had some intrinsic flaws that prevented their survival and growth, Martin and Wainwright repeated the hybridization and growth in the lab where the fish were not exposed to environmental pressures such as competition for food and found the adaptive landscape to be flat. On the whole, this is a fascinating experiment that lends support to one of the core ideas in adaptive radiation, that in the face of ecological opportunity, natural selection drives species to rapidly diversify. After reading this paper a lot of questions remain for me. Foremost is the question of how speciation actually occurred in this group. The experiment convincingly identifies disruptive selection when all areas of morphospace are occupied, but given the stabilizing selection seo services occurring on the generalist peak, how is it that any of the other peaks came to be occupied in the first place? This experimental setup seems to be essentially mimicking a case of sympatric speciation, but how likely is that? Are we instead looking at a case of sequential colonization and diversification? I’d be interested in discussing it with anyone who’s interested! Martin CH, Wainwright PC. 2013. Multiple fitness peaks on the adaptive landscape drive adaptive radiation in the wild. Science, 339:208-211. This entry was posted in adaptation, phylogenetics. 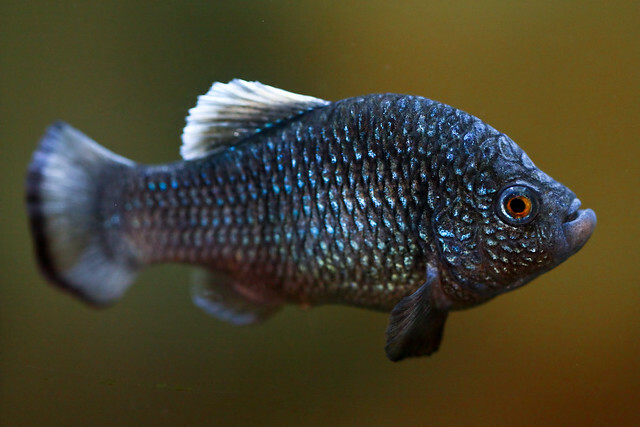 I think pupfish are great. Thanks for blogging on my work! As you guessed from my experiment, I am partial to the hypothesis of sympatric speciation for the pupfishes on San Salvador (full disclosure – I also work on measuring sympatric speciation parameters in Cameroon crater lake cichlids – I am fascinated by this process!). I think the alternative hypotheses of allopatric speciation or character displacement following secondary contact are somewhat unlikely. Primarily, this is because secondary contact between allopatric pupfish populations has always resulted in extensive introgression in both natural hybrid zones (atrorus/bifasciatus; eximius/pachycephalus) and human introductions (pecosensis/variegatus; rubrofluviatilis/variegatus). In one case, C. pecosensis females actually preferred the invasive males (Rosenfield and Kodric-Brown 2003)! Second, I cannot imagine a population of scale-eaters evolving in allopatry to other pupfishes – the only other fish species, Gambusia hubbsi, probably occurs at just too low a density in the Bahamas. Most scale-eating strikes are directed at other pupfishes. However, because San Salvador is an archipelago of lakes, it will always be difficult to rule out all allopatric scenarios to meet Coyne and Orr’s stringent criteria for sympatric speciation. I agree that an outstanding remaining question is how pupfishes colonized specialized adaptive peaks in the first place, given stabilizing selection on generalist phenotypes on San Salvador. I also speculate that stabilizing selection is widespread across generalist populations in the Caribbean. After completing this field experiment, I traveled to several neighboring islands in the Bahamas to look for additional specialist species. This was a remarkable trip – I found many saline lakes that looked very similar to those on San Salvador with identical fish communities (Cyprinodon sp. ‘generalist’ and Gambusia hubbsi) but no specialist species! I do think there may be empty fitness peaks for scale-eating and durophagy in these environments. So, why were specialist niches only colonized on San Salvador and Laguna Chichancanab? I think one possibility is that maybe only these two locations have massive effective population sizes which allow for escape from local peaks (see Weinreich and Chao 2005). Another possibility is that hybrid swarms formed from distinct lineages of pupfishes serendipitously meeting in these two places (see Seehausen 2004). I’m currently analyzing RAD sequencing data from pupfish populations sampled from across the Caribbean to test these hypotheses. Stay tuned!